This all natural bath herb blend comes with a natural aroma. Contains: Chamomile, Rose Petals, Rosemary and Spearmint. Great for adding to your bath, soak in the relaxing aroma! Also wonderful to add to your DIY soap for that elegant look! This product is not for drinking/consumption. 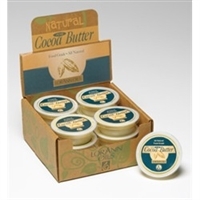 Lorann's 100% pure cocoa butter is also an excellent, all-purpose moisturizer and conditioner found in many personal care products. LorAnn cocoa butter is edible, and is used in chocolate crafting. Everything you need to make great-smelling soaps in a variety of attractive colors and shapes. With two premium fragrance oils and cocoa butter as an optional additive, you can create super moisturizing and luxurious soaps at home!